Over the weekend the Saudi government claimed that missing Saudi journalist Jamal Khashoggi was killed in a fistfight at the consulate in Istanbul and 15 Saudis are in custody for the murder. It was the first time state media admitted Khashoggi was dead. 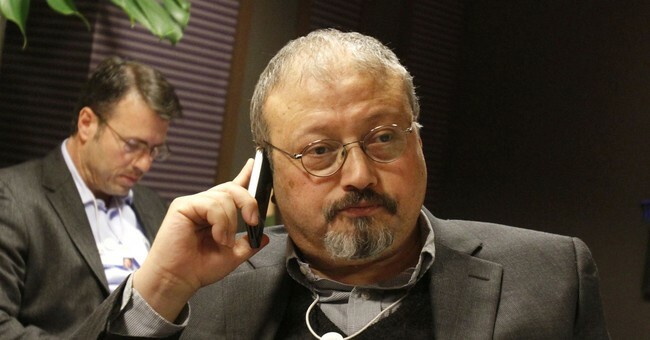 The journalist, who has contributed to The Washington Post and was critical of the Saudi kingdom, was last seen entering the consulate on October 2 to obtain documents for his wedding, but he was not seen leaving. While President Trump still calls the Saudis an ally and is acknowledging that Crown Prince Mohammed bin Salman has strongly denied the government was to blame for Khashoggi's murder, even he noted that the Saudi explanation doesn't sound quite right. “Obviously there’s been deception, and there’s been lies,” Trump said. Still, the president stopped short of saying Salman was to blame and he added he is not going to cancel the billion dollar defense deal we signed with Saudi Arabia. Lawmakers were also skeptical of the Saudi explanation. "There's no way" that fistfight story pans out, Sen. Rand Paul (R-KY) asserted. "It stretches credulity to suggest the crown prince wasn't involved in this," Paul explained. Other critics have noted that there's a slim to none chance Khashoggi was killed without Salman's knowledge. Former Speaker of the House Newt Gingrich said it "hurts the Saudis to lie this stupidly." Khashoggi was 59 years old.